s-blocks are blue, d-blocks are green, p-blocks are shades of purple-pink, f-blocks are red. Black are for the elements that have never been studied chemically. The d-metals that are missing an s-electron in their octet are teal (green + blue). The f-metals that have an extra d-electron are brown (green + red). The super brights Palladium and Thorium gained or lost two electrons not in their native octet. It was always difficult for me to remember where in the periodic table the electron configurations do not conform to what I would naively assume. 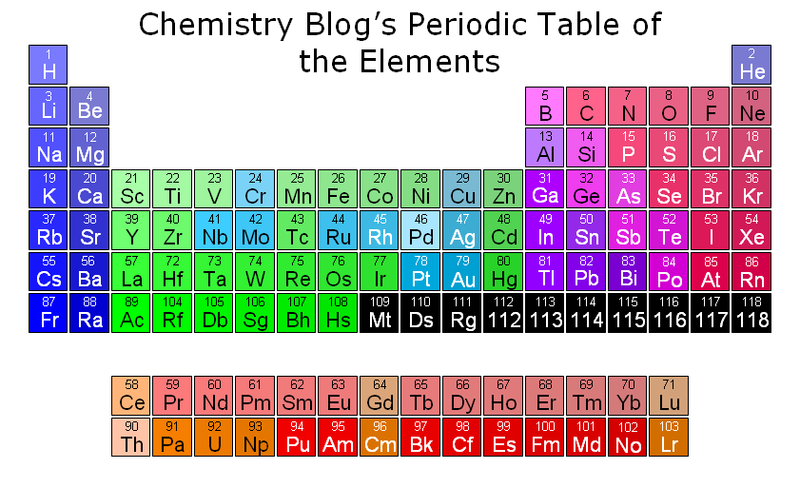 I would hope this type of periodic table keeps it more in the mind of students.